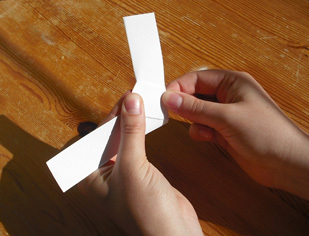 Have you ever found yourself needing a pentagon, but not having one to hand? 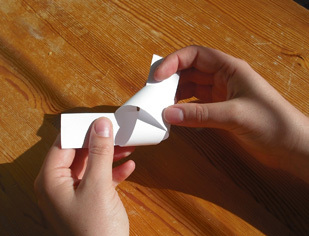 Here's a simple way to fold a pentagon from a single strip of paper, and it only takes a few seconds! 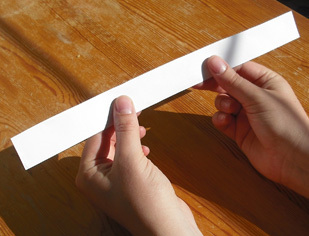 Equipment needed: a strip of paper (a piece the size of a margin from A4 notepaper is ideal, or download an A4 with 7 strips here) which is the same width all the way along. 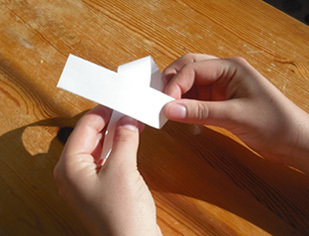 All you need to do is take the strip of paper, and tie a knot in it - as you would in a piece of string. 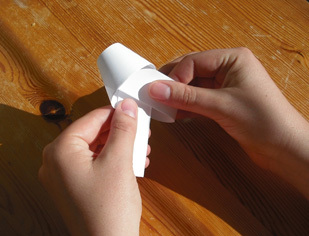 Then, pull the ends through until it is tight, and fold the whole thing flat. 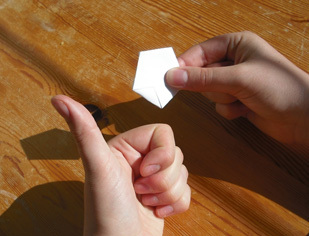 You will find that you have folded a perfect regular pentagon! You can fold the extra end bits away behind the pentagon, or cut them off. The pentagon you make is folded so that the length of each side of the pentagon is the same - if you crease it and unfold it you can see that the line which was the edge of the pentagon cuts the strip of paper at the same angle each time (72 degrees - check with your protractor! ), and so the length of this line will always be the same. - Pentagons are very stylish - why not make a necklace or earrings from paper pentagons? - Along with some hexagons, if you have enough pentagons you can make a football! - Push a pencil through the centre of your pentagon, and you have a spinner which will let you choose one of five things at random - like the numbers from 1-5, or days from Monday to Friday - if you write one on each edge. If you fancy exploring this activity further and discover how to make other polygons we suggest the book Project Origami, by Thomas Hull. The mathematician Robert Lang took paper folding and its mathematics to the next level; see his website or his talk on TED. 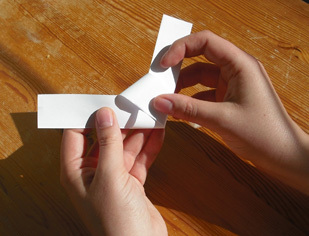 We also refer to the work of the mathematician Tadashi Tokieda for powerful connections between paper folding and mathematics.